For the first time in its history, the Australian Dance Awards ceremony was held in Adelaide, a fitting location given that 2015 marks the 50th anniversary of the Adelaide-based Australian Dance Theatre. The recipients of awards this year represented a cross-section of Australian dance styles and performers, as did the program of entertainment that accompanied the awards. The much-anticipated awards for Outstanding Achievement by a Female Dancer and Outstanding Achievement by a Male Dancer were won by Lucinda Dunn, just recently retired from the Australian Ballet, for her performance in Manon, and Bangarra Dance Theatre’s Waangenga Blanco for his role in Stephen Page’s Patygerang. Lucinda Dunn & Adam Bull in Manon, the Australian Ballet 2014. Queensland Ballet walked away with outstanding performance by a company for its production of Kenneth MacMillan’s Romeo and Juliet. Marilyn Jones and Dr Elizabeth Cameron Dalman were formally inducted into the Hall of Fame for their distinguished contributions to dance in Australia and internationally, and Marilyn Rowe was the recipient of the Lifetime Achievement Award. The Ausdance Peggy van Praagh Choreographic Fellowship, a bequest from the first director of the Australian Ballet, Dame Peggy van Praagh, was made to Lina Limosani. From a very personal point of view I was thrilled to see photographer Jeff Busby take out the award for Services to Dance. I have used so many Jeff Busby photographs throughout my career as a dance writer for a wide variety of outlets in Australia and overseas, and he has always been incredibly generous with his permissions. A well-deserved award. The full list of winners is available on the Australian Dance Awards website. The awards night always includes a series of short performances and snatches of film. 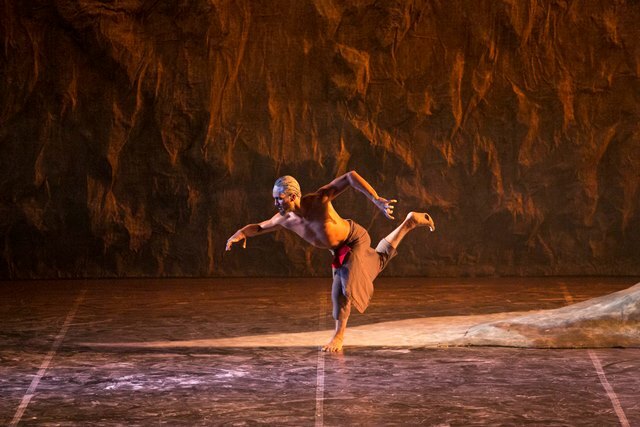 The 2015 ceremony was distinguished, I thought, by a brief excerpt from Garry Stewart’s Birdbrain, the first full-length work Stewart made as artistic director of Australian Dance Theatre. While we are now somewhat used to the extreme physicality that characterises much contemporary dance in 2015, and Stewart’s vocabulary in particular, looking at the vocabulary of Birdbrain I was stunned that Stewart had made such a work 15 years ago. There is a whisper that it may be revived next year. In something of a jaw-dropping juxtaposition, current ADT dancers Kimball Wong and Lonii Garnons-Williams performed ‘Moon Woman’ from Creation, Elizabeth Dalman’s 1970 work for ADT. What a difference 45 years of choreographic development makes, although Dalman’s slow, controlled movement language, redolent of American dance of the 1960s, was carefully realised by Wong and Garnons-Williams. I also enjoyed the extract from Leigh Warren’s Mayakovsky performed by students of the BA dance program at the Adelaide College of the Arts. Danced to Luciano Berio’s Sinfonia of 1968, it was reflective and soul-searching dancing. Nominations for next year’s awards can be made now. For information on the process see the Australian Dance Awards website.